[RetroConsole] FM Towns Marty – I ❤ Old Games! I’m a bit late to the party. It’s March already and the spring is just round the corner but in February, precisely on 20th, it has been another anniversary in the console world. This time is a system frequently overlooked, especially in the West, since it was released exclusively for the japanese market but it has an interesting story that probably most of you don’t know. So, let me present you the FM Towns Marty! In 1989 Fujitsu Released the FM Towns, a proprietary personal computer developed for multimedia and games that, after a few years evolved in an IBM compatible PC. Trying to take advantage of the video game craze, in the middle of the “bit war” that saw Nintendo rival Sega, Fujitsu transfered the technology they used in their computer into a new console, the first 32-bit home console. Now it seems quite normal having a 32-bit console in the middle of the 90s but we have to think that Nintendo released its first 16-bit console, the SNES, just one year before, some years after Sega released its 16-bit Genesis/Mega Drive. So the FM Towns Marty had to be the console that could have killed he market, even because it featured a built-in CD-ROM drive, since for a similar price it offered double the capabilities of the others. Plus the console, being the “daughter” of the FM Towns computer was backward compatible with its games so it started its life with a juicy catalog of software. The CPU in the heart of the Marty is the AMD 32-bit 80386SX used in the first FM Towns computers. Putting this kind of unit inside the console gave an advantage to the console in comparison to others on the market , namely having a good number of games released for the computer that could have been easily ported on this system. The backward compatibility with the FM Towns PC was ensured also with a floppy disk drive for 3,5″ disks. The controller is a quite obsolete 2-buttons controller, heir of the NES controller developed almost 10 years before. It has only two “action” buttons on the right and the D-pad on the left with the “select” and “start” buttons in the middle on the bottom of the controller. It was something too simple, especially if compared to the controller on the scenen in 1993: the Mega Drive introduced in 1988 a 3-buttons pad and the SNES in 1992 came with a 4-buttons controller with two side buttons. Oddly enough the controller had a DE-9 connector “Atari type”, the same used in the 2600 and in the Mega Drive/Genesis, so it’s virtually possible, while useless, to use the old VCS joypad to play Marty games. For the time, Marty was an highly capable system. Not only it was the first 32-bit console ever released, but was capable of True Color Graphics (16777216 colors) and 1024 sprites on screen, each 16×16 pixels with 16 colors. 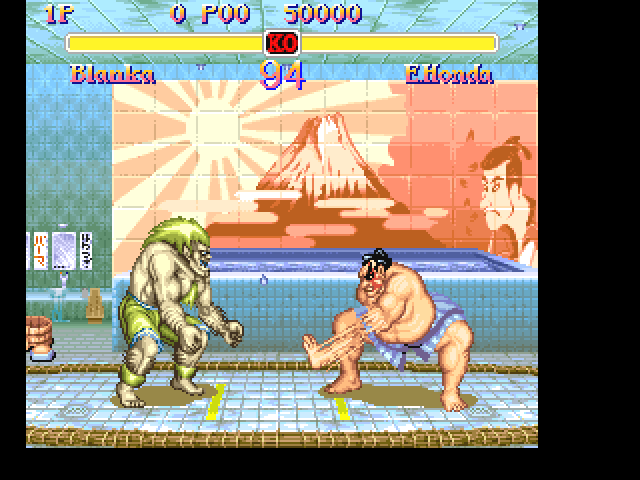 That made possible incredible graphics as seen in games such as Super Street Fighter II. Around 400 games are available for the Marty, most of which old games of the FM Towns ported to the console. If we consider games not stricly japanese, the console host some of the best ports of two great graphic adventures such as Monkey Island 2, Zak McKraken and the Alien Mindbenders, Loom and Indiana Jones and the Last Crusade. 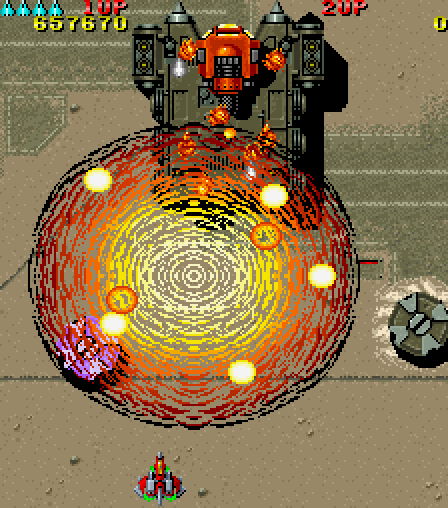 The FM Towns was also house of good arcade conversion like the shooter Raiden Densetsu and Chase H.Q. Other remarkable titles are those of the Nobuaga’s Ambition series, as well as some other sagas that found a house on Marty, such as the RPG Rance and the RTS Romance of the Three Kingdoms. However in my opinion the best three games featured on the system are the already cited Super Street Fighter II, Splatterhouse, one of the earliest horror games ported here in the west on the Sega Mega Drive/Genesis and Rayxanber that for a space shooters lover like me is like the icing on the cake. 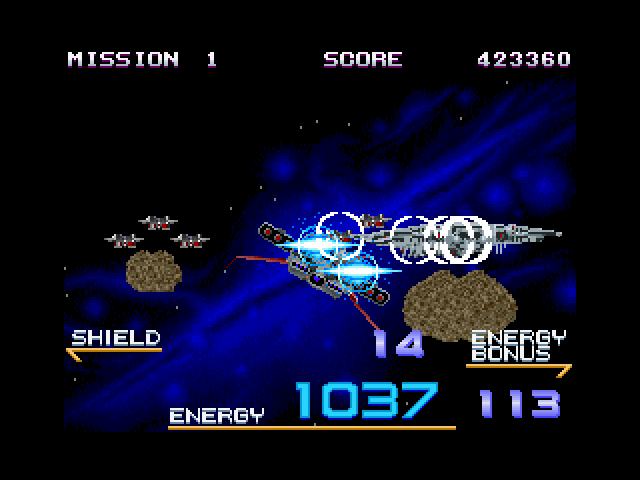 The console was also capable of displaying rather good 3D environment as shown for example in Galaxy Force II. The FM Towns Marty was a failure. Fujitsu tried to “redesign” the console after a few months but the new piece was absolutely identical to the other except the color, a darker shade of gray. The console was based on a computer that in 1993 was getting old due to the competition of DOS computers and the developers, worried to keep the backwards compatibility with the computer never really exploited the potentiality of the graphic hardware with the result of releasing games that were already old when they came out. 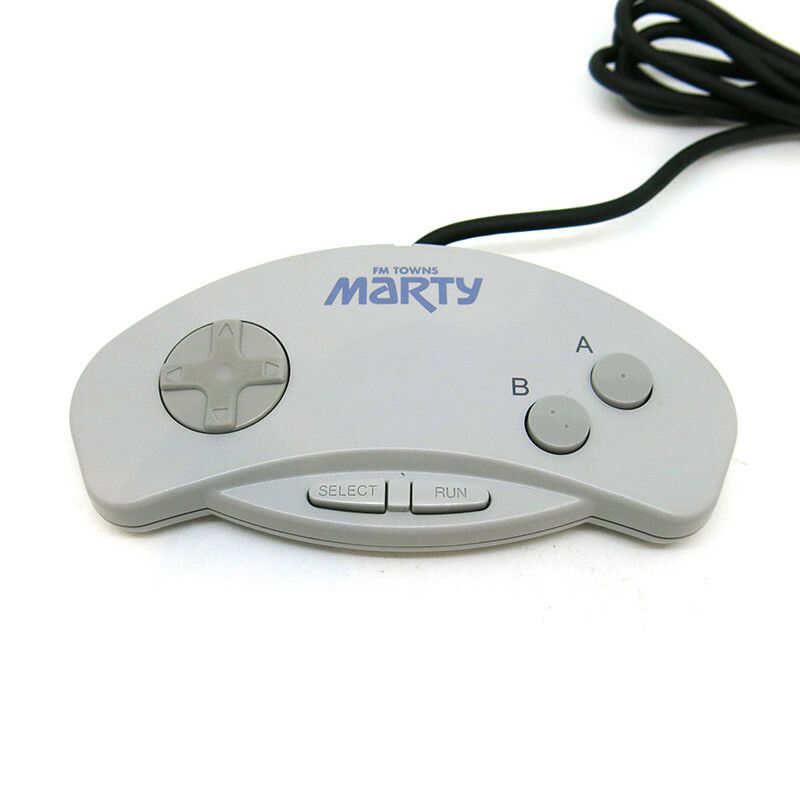 Fujitsu eventually released the Marty 2 but due to the poor sales the project was quickly abandoned and the console discontinued. Living in the U.K. I guess this is why I’d never heard of it. Graphics look really good for the time but that controller, like you say, more early 80’s than early 90’s! 400 games? Backwards compatibility? Wow! Sounds like they totally mismanaged the launch and promotion of this console! I’d heard of this one, as its existence is tied to a few series. I’ve never seen one in person though. From the way you describe it, it shares a lot in common with Commodore’s attempts to scale the Commodore 64, and Amiga into console versions. 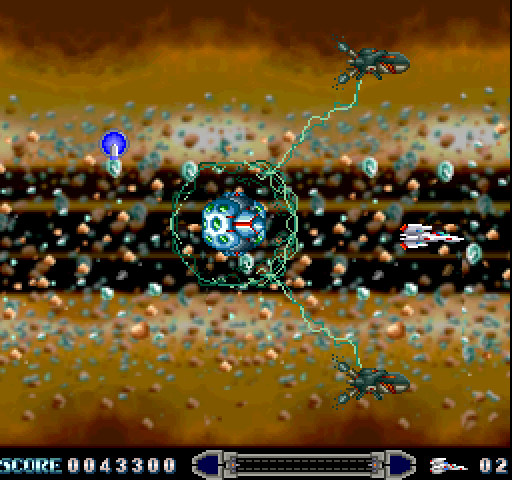 In all cases the lack of peripherals or a component meant some of the titles on the computers couldn’t be played on the console. All were expensive when compared to other machines, and the rarity makes these machines fairly expensive today. Still, If I had one I’d be bragging about it. Great read! Even the Mattel Hyperscan? I…. I don’t think you want the Hyperscan. I do want it! Probably i will use it only as an ashtray but it can’t be missing in a respectable collection! Pingback: [RetroConsole] 3DO – I ❤ Old Games!